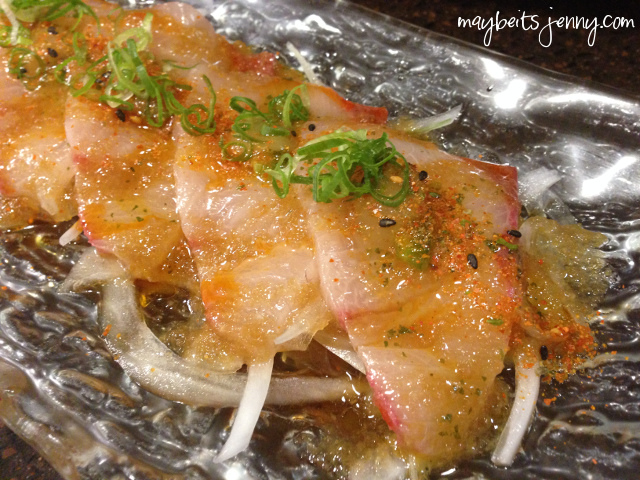 Izakaya Torae Torae Part 2! Yes I went back! And it was so good. I called in late for a seat during a weekend and got seating at the counter. That’s great! I’m fine with that. For the post of my first visit, go here. Let’s get to the post! 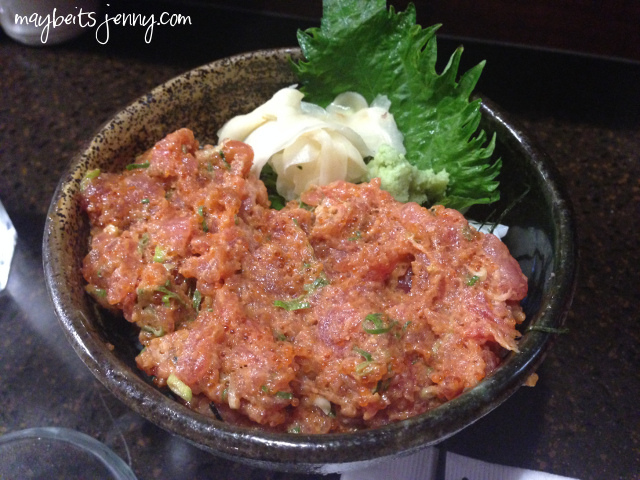 Spicy Tuna Don – pretty good. I think it’s not worth it to get something like this here. 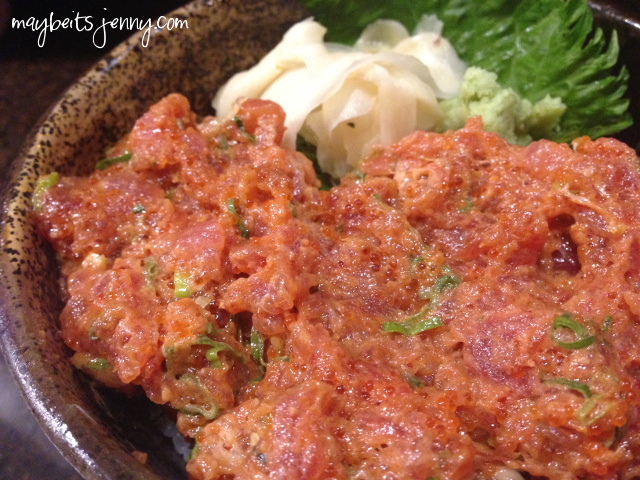 Spicy tuna is a way to cover up not so good quality ahi – you should just order the good stuff! 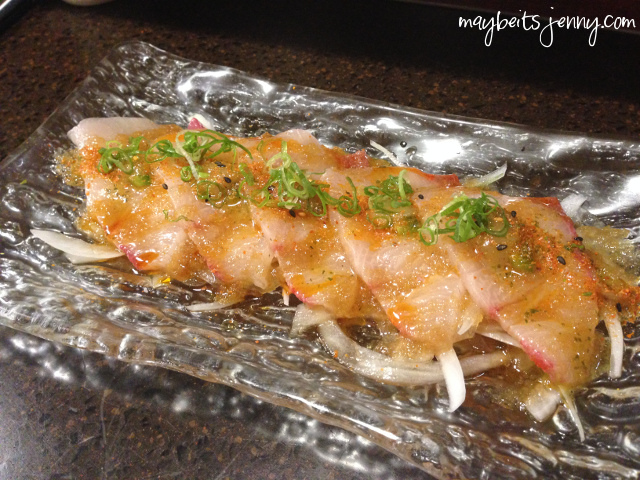 Hamachi Carpaccio – delicious! I love the touch of truffle oil. Highly recommended! 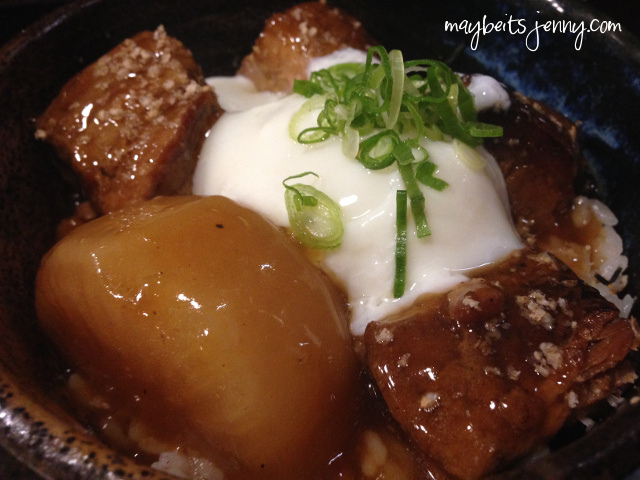 Pork Belly Kakuni Bowl – heaven. Last time I came here, we got the small appetizer. This is the full size on rice. SO good. 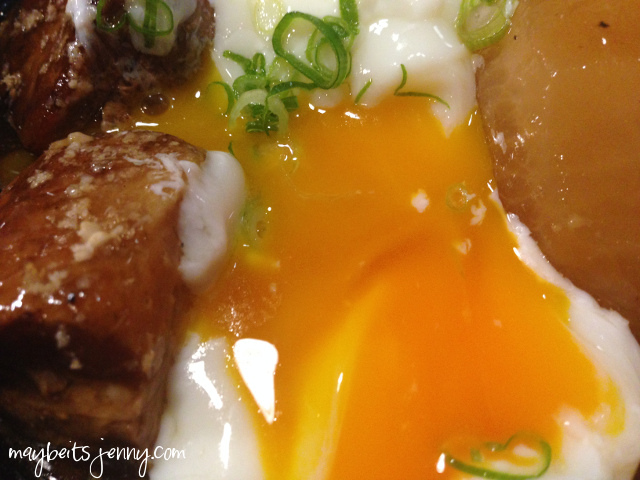 Look at that egg yolk, it’s so orange! Reminds me of Japan. 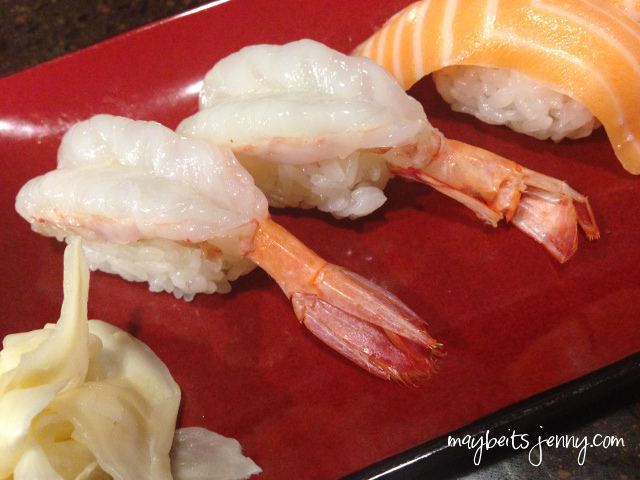 Kauai Sweet Shrimp – this was the special that night. Deliciuos! 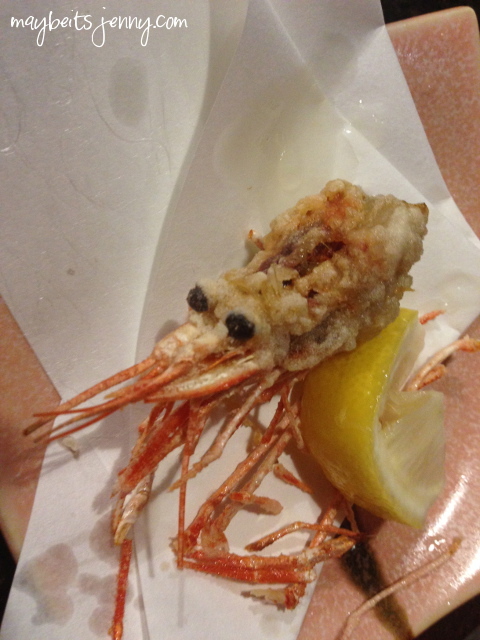 As with any good izakaya, here are the heads fried up for your pleasure. Sorry, I already ate one. STAR OF THE NIGHT AGAIN. 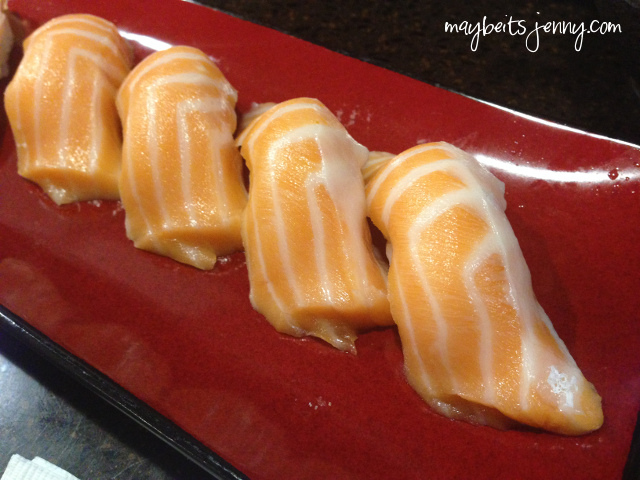 SALMON NIGIRI. King Salmon to be precise. Can’t be beat. Here’s an awesome reason to sit at the bar. They give you freebies sometimes! I came back from the restroom as he was handing these over. I didn’t hear him initially so I was like, we didn’t order this. He was trying to tell us it was a free sample. So shame. I thanked him gratefully and we tried it! 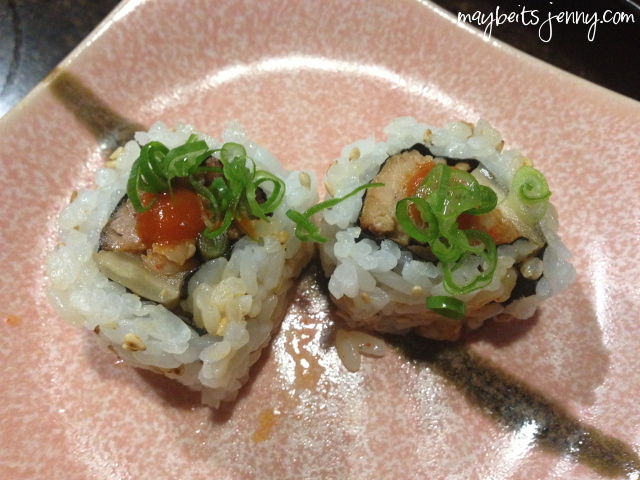 It was a good kimchee roll. I think it had chicken in it too, it was good! Thanks! 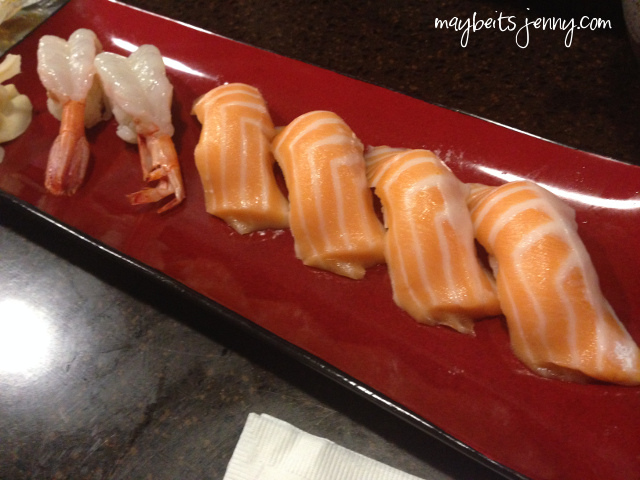 Yah, I had to end it with another piece of King Salmon. I just couldn’t help myself! 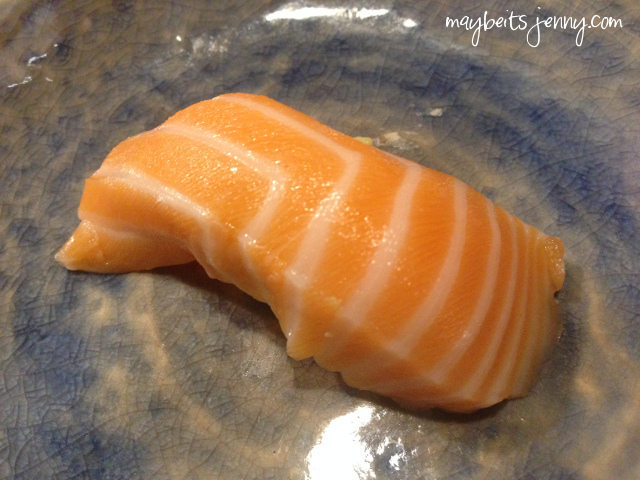 This entry was posted in Food, Restaurant and tagged Japanese Food, Sushi.